Sony is pushing creative boundaries once more with the new NEX-FS700 camcorder, the latest in Sony’s lineup of NXCAM interchangeable E-mount cameras. Its new 11.6M Exmor Super 35mm CMOS sensor delivers full HD-quality motion pictures at a maximum of 240 fps. 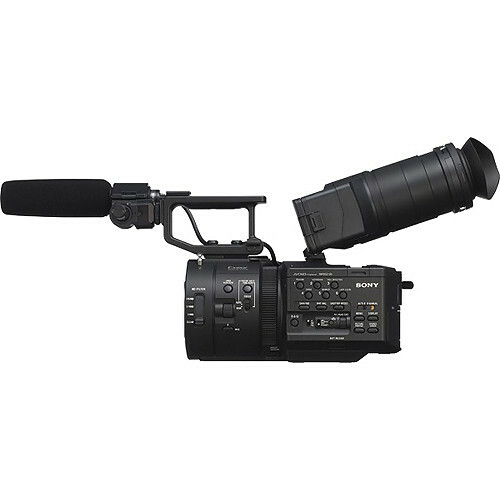 This camcorder also features a range of capabilities, including built-in ND filters, 3G HD-SDI output, and CineGamma curves that you can intercut with Sony CineAlta camera footage. This rental comes with a Sony 18-200mm f/3.5-6.3 zoom lens. Add either the Odyssey 7Q or the Sony R5 external recorders for only $150 a day and shoot in 4K.